Discover the wide range of hotels and apartments that you can book in Jarabacoa, and organize your travel to the Dominican Republic. In order to do so, you only have to select your travel’s entry and exit dates on the calendars that you will find below. Thus, in addition to having access to the latest best deals of different hotels and apartments of the Jarabacoa, you can also sort the results by price, category or popularity. Miessie offers pet-friendly accommodation in Jarabacoa. Salto de Jimenoa is 7 km away. Free private parking is available on site. Mi Tia Yesy offers pet-friendly accommodation in Jarabacoa, 6 km from Salto de Jimenoa and 40 km from Pico Duarte. Guests benefit from free WiFi and private parking available on site. 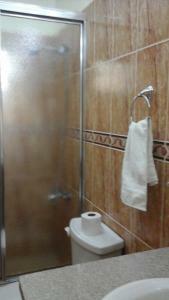 Jarabacoa Mountain Hostel offers pet-friendly accommodation in Jarabacoa. Free WiFi is featured throughout the property and free private parking is available on site. 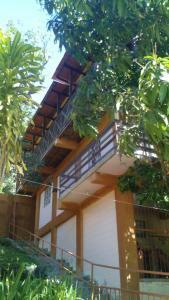 Situated in Jarabacoa, this holiday home is located 7 km from Salto de Jimenoa. 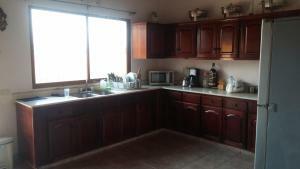 The property is 41 km from Pico Duarte and free private parking is available. Cibao International Airport is 31 km away. 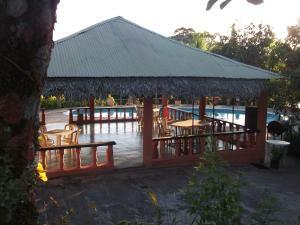 Jarabacoa River Club & Resort offers accommodation in Jarabacoa. The hotel has an outdoor pool and views of the mountains, and guests can enjoy a meal at the restaurant. 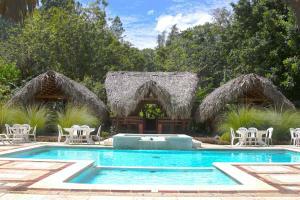 Set in Jarabacoa, 2.7 km from Salto de Jimenoa, Villas Jarabacoa boasts an outdoor pool and sauna. Pico Duarte is 44 km from the property. Free private parking is available on site. 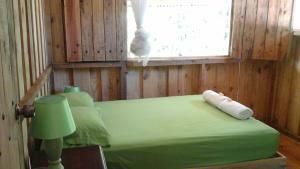 Located in Jarabacoa, Rancho Ruiseñor offers a peaceful stay surrounded by nature and free parking. Offering an outdoor pool and views of the mountains, Villa Rivera del Yaque is set in Jarabacoa. Salto de Jimenoa is 9 km from the property. Free private parking is available on site.